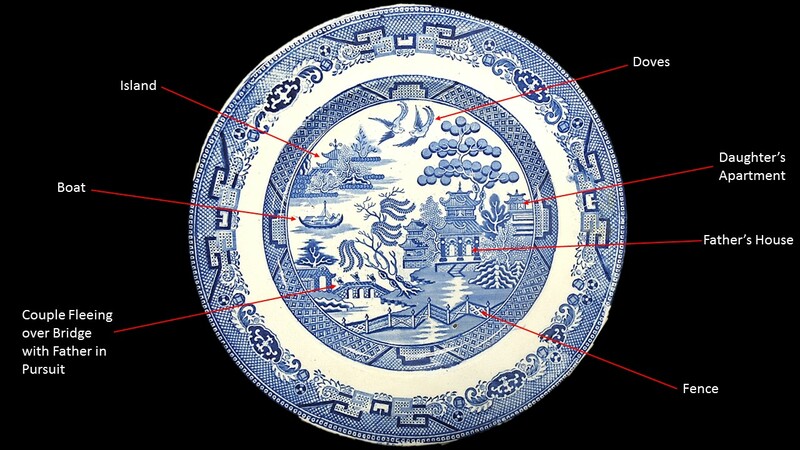 In my last blog about transfer-printing I mentioned the Willow pattern. Willow, Willow-ware, or Blue Willow is one of the most recognizable patterns produced on ceramics. It has a very lengthy lifespan. The first Willow transfer was produced by British manufacturers around 1790 and continues to be made today. 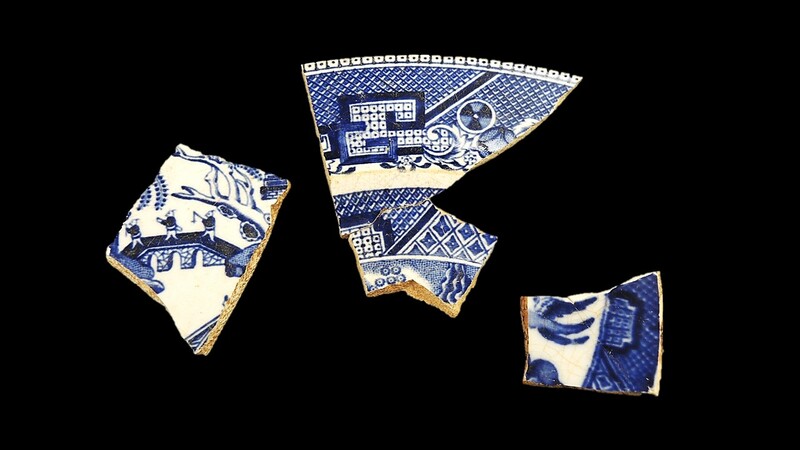 The pattern was hugely popular and was produced by a number of ceramic manufacturers. O’Hara P. “`The Willow Pattern that we Knew’: The Victorian Literature of Blue Willow”. Victorian Studies. Summer 1993; (4):421. Available from: Humanities International Complete, Ipswich, MA.